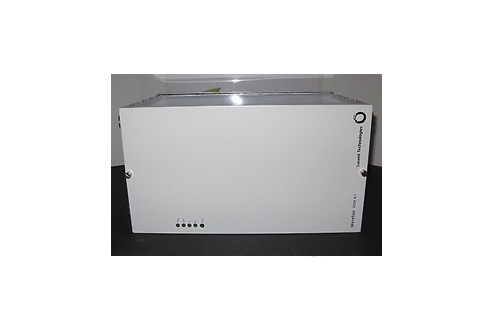 The Alcatel-Lucent (now Nokia) WaveStar OLS 10G (OC192 2F) is an add/drop multiplexer that supports high-capacity, self-healing transport via the SONET-standard OC-192-line rate signal that is in a SONET two fiber, bi-directional, line-switched ring. The OLS 10G also supports OC-48-line rate signals in the low-speed shelf. You can use the tributary shelf as a standalone application, often listed as a 2.5G application in technical documentation. Upgrades and enhancements are available to bring the standalone 2.5G to a 10G system, such as an OC-48 2-fiber BLSR climbing to an OC-192 2-fiber BLSR. Worldwide Supply provides refurbished Alcatel-Lucent WaveStar OLS 10G models because they empower you to give customers a major set of services while improving your network. One of the more popular benefits is its small footprint, with a reduced floor space requirement and overall cheaper installation and maintenance needs. The Alcatel-Lucent WaveStar OLS 10G also supports a significant range of application interface rates so you stay interoperable between more than a dozen different systems, ports and more. Boost your network as you need to with reliable service and a smart maintenance partner when you select a used Alcatel-Lucent WaveStar OLS 10G from Worldwide Supply. We help with everything from the initial selection and implementation through maintenance and even scaling beyond the initial growth you’ll experience from WaveStar OLS 10G installations.